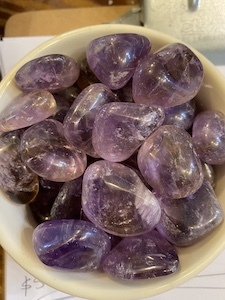 A mix of citrine and amethyst. Balances the male/female qualities. Stimulates the intellect to develop the consciousness. Allows one to reach higher states in meditation and attunement. Disperses negativity from the aura.